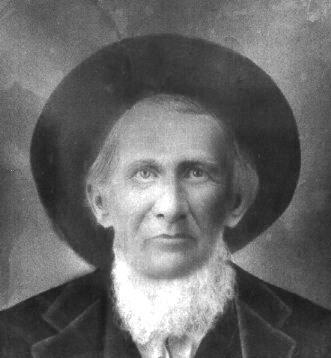 John Barnett was born 1829, Big Ridge, Scott Co., VA and died in Indian Territory. He was the son of James Barnett Jr. and Jane Williams. John was married to Elizabeth A. JOHNSTON on April 16, 1852 in Scott Co., VA.
John when he was younger. Photos are the property of Jean Brand. I am looking for John Sanford Barnett, from Bath Co. Va. b. 31 Dec 1805. 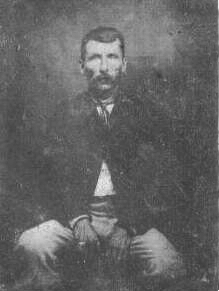 His father John Willaim Barnett. My great grandfather on my grandmothers side was John William Barnett, my grandmother (moms mother)was Alice Mytrle Barnett. Hi, I am seeking information on my GGG grandmother, Susannah Barnett. I was wondering if you could help direct me in my search. Susannah married William H. Gillum on January 20, 1842 in Scott Co. VA. This is about all I have on her. I would like to know who her parents were or any information that you may have on this family. John William Barnett Sr. greatly resembles my grandfather. John Barnett Sr. and Elizabeth Johnston had a son (John Jr.)The John Barnett on my family tree was born around 1844 in VA and he was married to a Nancy. My geneology only dates back to the John Barnett born around 1844 so my question is, does anyone know whether John William Barnett Sr. and Elizabeth Johnston were his parents or is this a different family? daughter of Armistead and Elizabeth Ferguson, who married William Stanley. I can’t find anything posted anywhere on Armistead’s parents. Did you get that far? So happy I found this site. This man would be my grandmothers Great-grandfather. My grandmothers mother was Mary Catherine Barnett Ponder Robinson.